According to the police, the cash was being distributed to voters in Pochamma Basthi under the limits of Raidurgam police station. 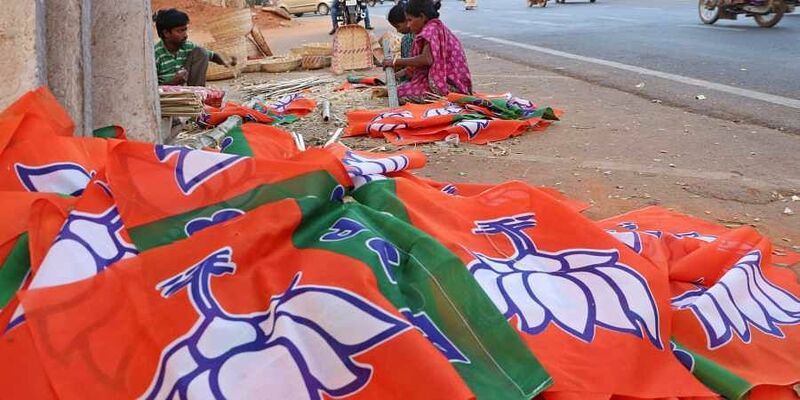 HYDERABAD: Two BJP workers were allegedly caught red-handed on Friday in a final-hour dash to woo voters by distributing money among them, in Raidurgam of Serilingampally constituency. The police also seized Rs 1.12 lakh in cash, a bike and mobile phones from them. G Yoganand is the BJP’s candidate in the constituency. According to the police, the cash was being distributed to voters in Pochamma Basthi under the limits of Raidurgam police station. Based on a tip-off, the cops rushed to the spot and found two persons distributing cash to voters. The duo was nabbed immediately. The accused have been identified as N Narender Goud (46), BJP Gachibowli division president, and B Giri Prasad (24), a youngster from Srikakulam who works in the city. Further inquiries revealed that the duo was handing over Rs 1000 to each voter, urging them to cast their votes to the BJP candidate.